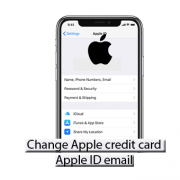 The Apple ID account page contains personal information about an Apple ID owner such as the Apple credit card and Apple email address which are the updates that will be treated on this post. 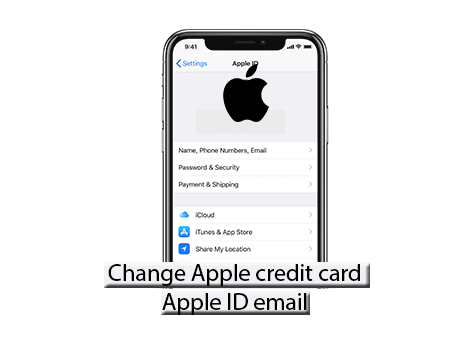 Other Information on the Apple ID account page includes address, Apple credit card details, resident country, and email address and more. It makes a lot of sense to update the Apple ID account page once in a while or when there is a major change. So that your Apple ID can function properly. The Apple credit card and Apple email address are the most sorts out updates. Then, Touch your name at the top of the screen. Go to Payment & Shipping. Enter the payment method field to change the credit card. You might be prompted, to enter your iPhone passcode. Input the information of the new credit card. After the card is verified, exit the Apple ID account page. This section treats updating third-party email addresses such as Gmail, Yahoo, Hotmail. Go to Settings on the Apple device you want to use to change your Apple ID email. Select the Name, Phone number, email section. Under the Reachable section, Tap the red – icon next to the current Apple ID email. Now Enter the new email address. Tap Next to save the update. Make sure to verify the new Apple ID email using the verification code sent. Next, sign in with your Apple ID and password. Click Edit on Account section. Click on Change Apple ID. Then the list of associated email addresses with your account will be displayed. Proceed to select the one of choice. Click Continue and after that done. Note if you used an Apple email on the account page initially you must also update it with a similar email that is already associated with that account.